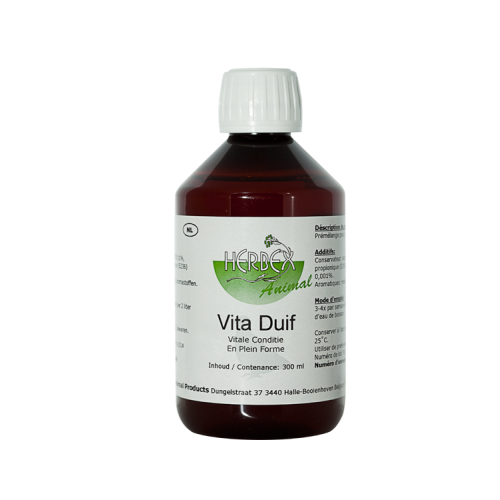 Vita Duif by Herbots has a extremely positive effect on the pigeons organism, it increases resistance and makes the muscles recover quicker. 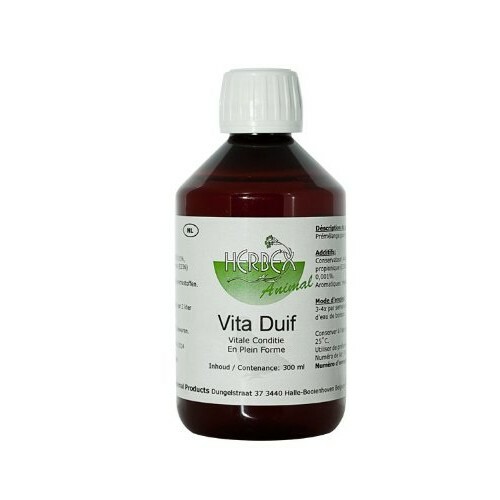 Vita Duif also stimulates appetite, making the pigeons build up reserves. - Apple, beet and elderberry lactic acid (turning right): Improves digestion. Supports the condition of the liver and kidneys, thus leading to quicker secretion of waste products. - Echinacea : supports resistance. - Helenium : improves condition. - Populi gemmae : supports the urogenital system, adds to the elimination of waste products. - 1 coffee spoon per 2 litre of water, the 2nd and 5th day after a race and the day after hiving.